Pop along and enjoy creating newborn keepsakes with a drink and cake. 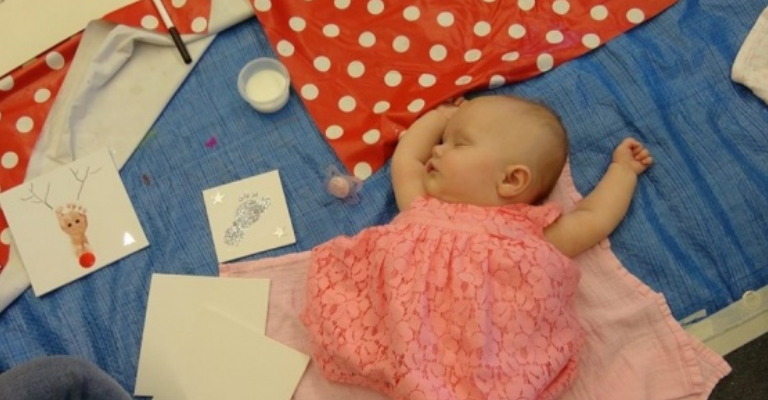 These fun monthly interactive classes run for an hour and half and are a relaxed way to meet other parents, have fun with your baby, and be creative – all at the same time! You’ll be able to create beautiful treasured memories of your baby’s development. The keepsakes are perfect to keep as treasured memories and to give as special gifts to loved ones. Each class includes 3 personalised items for you to create and take away. Additional activities to do can be purchased on the day.